Providing you the best range of berberis aristata root, carica papaya, cucumis sativus fruit, embelica officinalis fruit, glycyrrhiza glabra root and myristica fragrans fruit extract with effective & timely delivery. We are offering an extensive array of Berberis Aristata Root to our esteemed clients. The offered assortment of product is available in a safe packaging. Offered products have very effective and long shelf life features. Apart from this, possessing antibacterial, anti-inflammatory, antipyretic and antiseptic properties, this is used as a stomachic, laxative and diaphoretic. Papayas, which are high in vitamins A and C and calcium, are often used fresh in fruit salads and desserts, as well as prepared in juices and jams or dried. Some Southeast Asian dishes call for the unripe fruits to be cooked and used as vegetables. 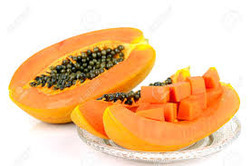 Papayas produce an enzyme, papain, which aids digestion and is used to tenderize meat. Papain has been used in medicine to treat ulcers and reduce skin adhesions following surgery, and studies have shown that it has antimicrobial properties. Papain is also used to clarify beer, prepare wool and silk for dyeing, and remove hair from hides before tanning, among other uses. 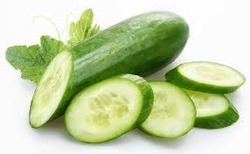 We are among the celebrated organizations in the industry for offering a wide range of Cucumis Sativus Fruit in the market. This is a widely cultivated plant in the gourd family, which includes squash. Keeping in mind the assorted needs of the customers, we are offering these products in various options. Apart from this, we are providing these products at leading market prices. Licorice is used for various digestive system complaints including stomach ulcers,heartburn, colic, and ongoing inflammation of the lining of the stomach (chronicgastritis). Licorice is also used for osteoarthritis, systemic lupus erythematosus (SLE), liverdisorders, malaria, tuberculosis, food poisoning, and chronic fatigue syndrome(CFS). Licorice is sometimes used along with the herbs Panax ginseng and Bupleurum falcatum to improve the function of the adrenal glands, especially in people who have taken steroid drugs long-term. Steroids tend to suppress the activity of the adrenal glands. The adrenal glands produce important hormones that regulate the body's response to stress. 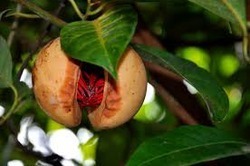 Myristica fragrans is remarkable among spice plants in that it yields two important products, nutmeg and mace. This species originated in the Maluku Islands (the Indonesian archipelago also known as the Moluccas), but is probably never found wild. Both nutmeg and mace were well known in Europe by the end of the 12th century. They are now grown in most tropical countries, but Grenada (West Indies) and Indonesia account for the bulk of world production (although Grenada has struggled in recent years with large scale damage from a series of hurricanes). This aromatic evergreen tree grows to 9 to 12 (sometimes 20) m in height with spreading branches. The flowers are cream-colored and up to 1 cm in length. They develop into yellow fleshy fruits, 6 to 9 cm in length, that are somewhat similar in appearance to apricots. The ripe fruit splits to expose a single glossy purple-brown ~2.5 cm nut (seed) enclosed by a scarlet aril. The seed, after its coat is removed, is the nutmeg spice. 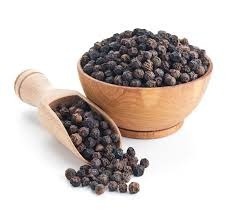 The aril is the mace spice, which, after drying, turns brown. The tree produces fruit year-round, but the harvest usually occurs in April and November. Pyrus malus is the scientific name for the apple. 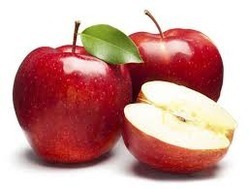 Apple-derived ingredients (Pyrus Malus (Apple) , Pyrus Malus (Apple) Flower , Pyrus Malus (Apple) Fruit, Pyrus Malus (Apple) Fruit Extract, Pyrus Malus (Apple) Fruit Water, Pyrus Malus (Apple) Fruit , Pyrus Malus (Apple) Leaf Extract, Pyrus Malus (Apple) Oil, Pyrus Malus (Apple) Pectin Extract, Pyrus Malus (Apple) Peel Extract, Pyrus Malus (Apple) Peel Powder, Pyrus Malus (Apple) Peel Wax, Pyrus Malus (Apple) Root Extract, Pyrus Malus (Apple) Seed Extract, Pyrus Malus (Apple) Seed Oil, Pyrus Malus (Apple) Stem Extract) are obtained from the fruit, leaf, stem, root or flower of the plant Pyrus malus. In cosmetics and personal care products, the ingredients derived from Pyrus malus are used in the formulation of a wide variety of products including hair conditioners, hand and body lotions, and shampoos. Our organization set a benchmark in the industry by providing a wide gamut of Citrus Aurantium Peel in the market. The offered quality approved collections of products are available in various packaging options for fulfilling the assorted demands of our customers. In addition to this, these products are used to improve appetite, surprising contrast and for weight loss. Santalum album is a medium sized hemi parasitic tree. It has a dark and rough bark with drooping branches. It produces dull purplish flowers in bunches. It has opposite leaves shining on the upper surface. This herb is also used for many religious purposes in many religions such as Hinduism, Buddhism, Japanese, Islam and Chinese religions. It is used in worship and also for various other traditional ceremonies. 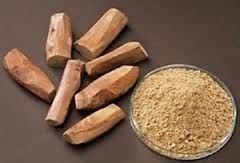 Sandalwood is an expensive wood; the sandalwood oil in India is popularly used by the cosmetic industry. The main source of sandalwood, Santalum album is a protected species and demand for it cannot be met. 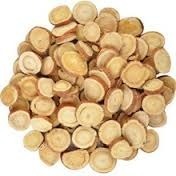 Many species of other plants are sold as sandalwood. Trikatu is a classic Ayurvedic herbal blend of pippali, ginger, and black pepper. These herbs work in synergy to stimulate the digestive fire, or agni, allowing for more efficient digestion in the stomach while promoting proper bile flow, healthy detoxification and fat metabolism. The gentle heating action of this blend primes the digestive tract to digest food, absorb nutrients and efficiently remove wastes. Digestion is one of the first body functions to suffer in the case of stress and tumultuous emotions, as well as improper self-care, eating on the run, a lack of exercise, and inappropriate or imbalanced diet. You can probably imagine that compromised digestion is not a rare case in the modern world. In fact, according to Ayurveda, most imbalances in the body begin with boggy, sluggish, or otherwise inefficient digestion. Trikatu is a wonderful tool for getting the digestion back on track, and in the context of a complete digestive reset like the Colorado Cleanse, it can play an instrumental role in stoking the digestive fire that is so needed for optimal health.